Someone who wants something so bad they will go to extreme lengths to get it. The state of doing anything in your means to get what you want. We don’t have to wait till we hit rock bottom to come to JESUS. I did but I knew HE was there. Now I know HIM intimately and I wouldn’t change that for anything. My relationship with JESUS is the most important thing to me. Best part is it’s for everybody. Anything else you’re desperate for is for a short period of time. JESUS is forever. JESUS is my hope for everything in my life. HE gives me hope and HE delivers when I need a healing, protection, comfort, peace, mercy, grace, love, provision. 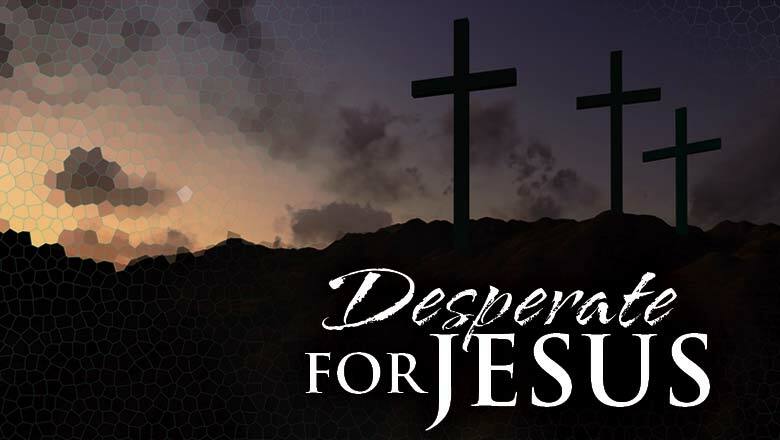 There’s lots of people in the Bible that showed their desperation. JESUS gave me some. In Matthew Chapter 9 talks about a woman who had a disease in her blood for 12 years. She tried everything she knew to get well. She spent all her money on different doctors to be healed. Then one day she was desperate enough and heard that JESUS was around and thought to give HIM a try. She probably heard about JESUS and tried HIM as a last resort. Sounds like a lot of people today who want nothing to do with HIM or nothing to do with prayer until something happens in their life where they have nowhere else to turn. At this point in her life she thought JESUS was her only hope and she had to get to HIM to be healed. JESUS is our only hope to get to be healed, to be forgiven, to make it to heaven. How about the 4 friends who were desperate enough to carry their friend to JESUS on a cot for him to be healed. They not only carried him to JESUS but when it was so crowded they pulled some of the roof off and lowered him down. I’m gonna stay desperate for JESUS in a good way. Not because of despair but because I want more of HIM in my life.